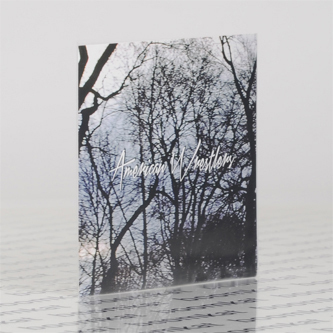 "American Wrestlers is the alias of Scottish-born, Missouri-based artist, here delivering his debut for Fat Possum. Born and raised in Glasgow, he then found his way to Manchester where he recorded some demos under a different name and posted the songs online. It was then that his now-wife first got in touch and after becoming enraptured with one another, he moved across the Atlantic to get married. The move to Missouri saw American Wrestlers take form, recording in a tiny, remote house on a Tascam 8-track and “the cheapest pawn shop instruments [he] could afford. ‘I Can Do No Wrong’ sees shimmery guitar work draw upon that feeling of a Midwestern Summer’s stifling heat. Driven along by a crackling beat; a stripped back approach to garage rock that focuses on melody and avoids the all- too-common desire to drench everything in layer-upon- layer of fuzz."